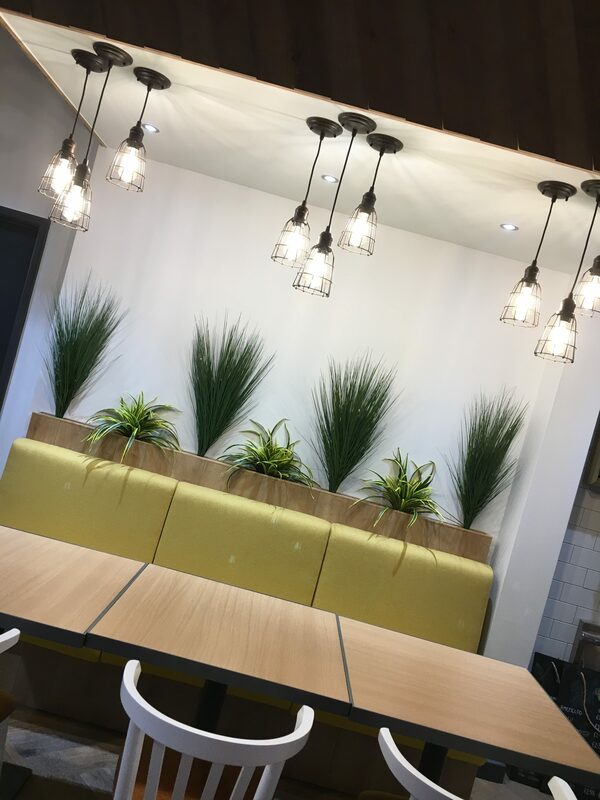 With students away on their well-deserved break, Lowe Electrical are working on some more great projects over the Summer period at De Montfort University. We will of course update you on these in the coming weeks as progress takes shape. 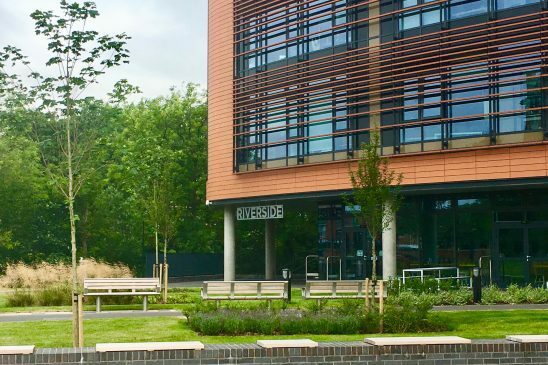 We have been involved in some exciting projects this year, one to mention is The Riverside Café situated on the bank of the River Soar. Built at the western end of the Vijay Patel Building, the home to DMU’s art and design courses, it offers a spacious, well-lit setting with contemporary design, the café also features outdoor seating areas overlooking both the river and the landscaped grounds of the Vijay Patel Building and the redeveloped Mill Lane. 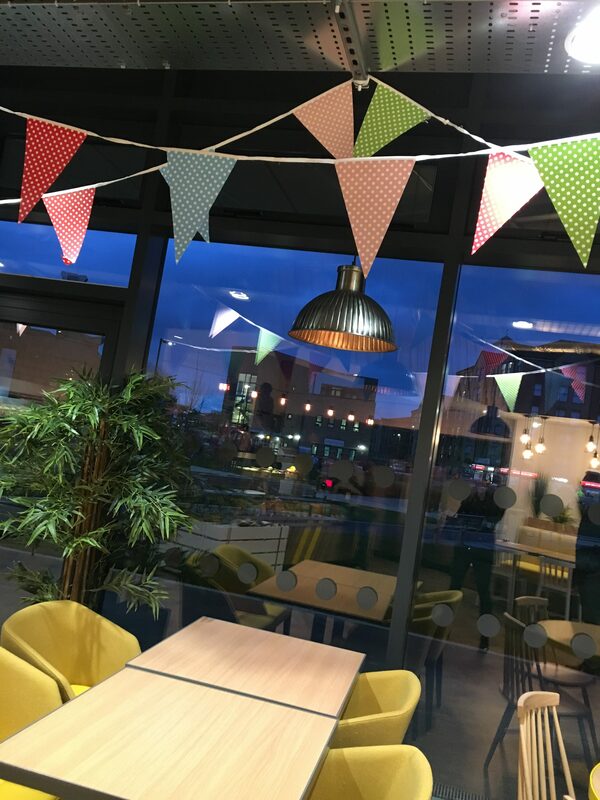 The completion of the café is part of DMU’s overall £136 million campus transformation project and is open for both students and public to enjoy. 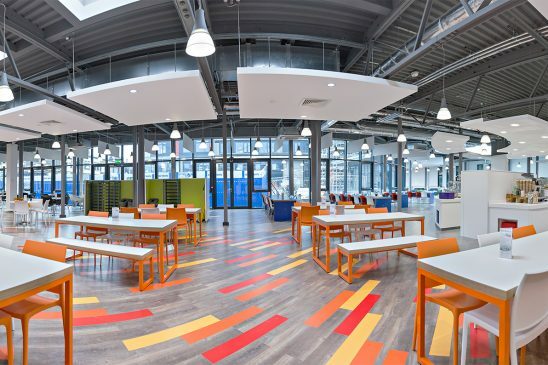 Its success has been propelled by a continual reinvestment into updating and expanding its facilities, exemplified by the recent £136m Campus Transformation Project targeting its city centre site. The university has high hopes for the project, predicting that it “will, when complete, provide DMU with one of the finest campuses in the country”. The centrepiece of this project has been the replacement of the former Fletcher building with the state-of-the-art Vijay Patel building, home to the faculty of Arts, Design and Humanities. As the newest addition to the university’s long line of innovative and sustainable building designs, LED lighting was set to be a crucial part of the project, ensuring that the investment would yield maximum returns on investment in terms of energy and maintenance costs whilst reducing the university’s carbon footprint. Dextra Lighting has had a fruitful and ongoing relationship with DMU and partnered electrical installers, Lowe Electrical of Leicester, helping the university achieve its ambitious sustainable development goals quickly and efficiently. Once again, Dextra Lighting were appointed as the sole suppliers for the project given its proven track-record for fast delivery times, flexible bespoke capabilities, and its sector-specific product range and expertise, the new lighting solution was guaranteed to minimise energy consumption whilst providing a high-calibre aesthetic suitable for modern educational environments.